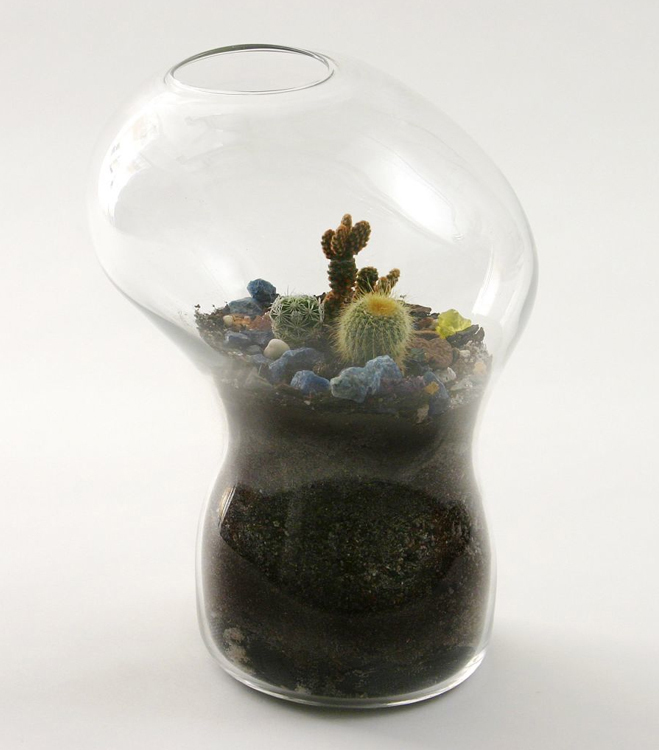 Teardrop Terrarium T027, 2006. Photograph by Sherry Griffin. More and more I’ve come to appreciate abnormal appearance in the fields of art and design, even extending itself to nature and our everyday surroundings. I think it’s more of a respect for asymmetry and imperfection, recognising that not everyone and everything is perfect and is supposed to meet the expectations we set for them. I’ve talked about this previously in a design-led way but I do think it applies to other parts of our lives as well. Lately this mentality has cropped up in certain creative decisions that I’ve had to make, I can’t work out if it’s breaking the mould or social conventions but I do find it intriguing and think it’s worth recognising as a trait. One thing us creatives have in common is our need to shape environments. It could be small such as modelling a garden to our exact specification, or to the point of building our own home, there’s something quite appealing about designing as if we’re an architect. Probably because it’s both creative and artistic but I’m also sure this runs deeper in the human psyche. 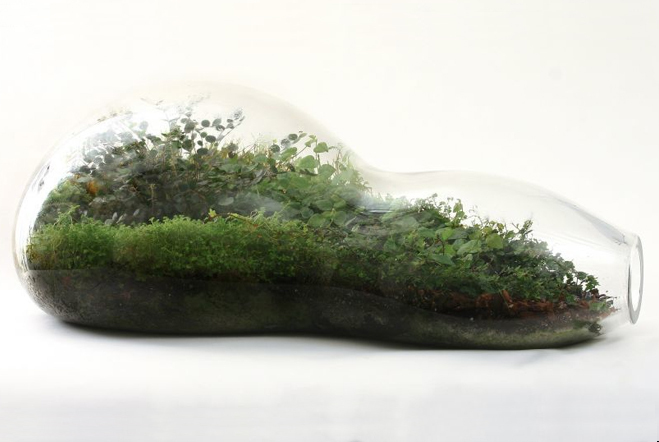 If we’re being specific this is the exact appeal of terrariums and bonsai, the fact that these little areas can be sculpted and shaped to our hearts content. 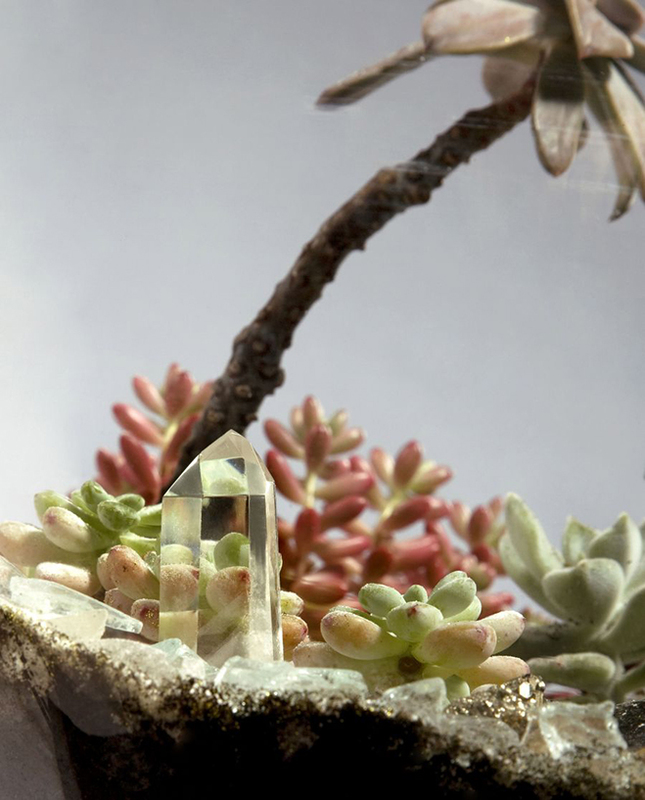 This project has a similar theme, designed and made by Paula Hayes who’s a New York based landscape designer and artist who works with plant life and minerals to produce stunning terrariums as sculptures for gallery environments. Her work combines industrial materials, such as hand-blown glass, silicone, or cast acrylic, with a rich variety of plant life. 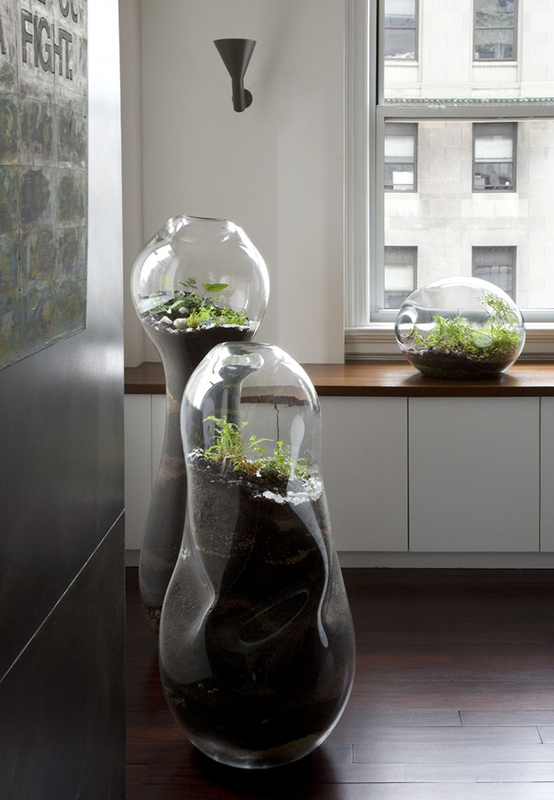 The giant glass vessels, seen here in this post, have a particular impact and I love the sculpted forms. I particularly like the juxtaposition between the man-made and natural. On a personal level I admire the stripped back arrangements, but you’ll be pleased to know that Paula has plenty more terrariums to view on her website. You should certainly check them out, you won’t be disappointed. 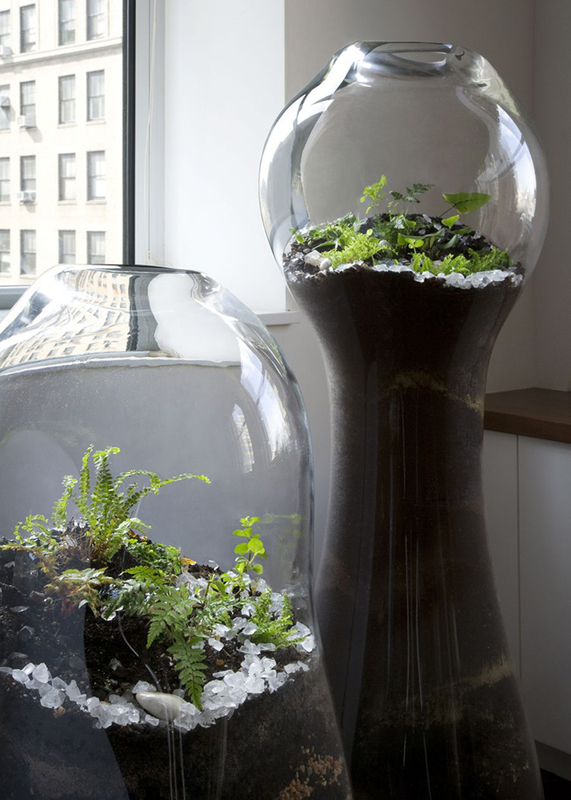 Giant Terrarium GT06, 2009. Photograph by Sherry Griffin. 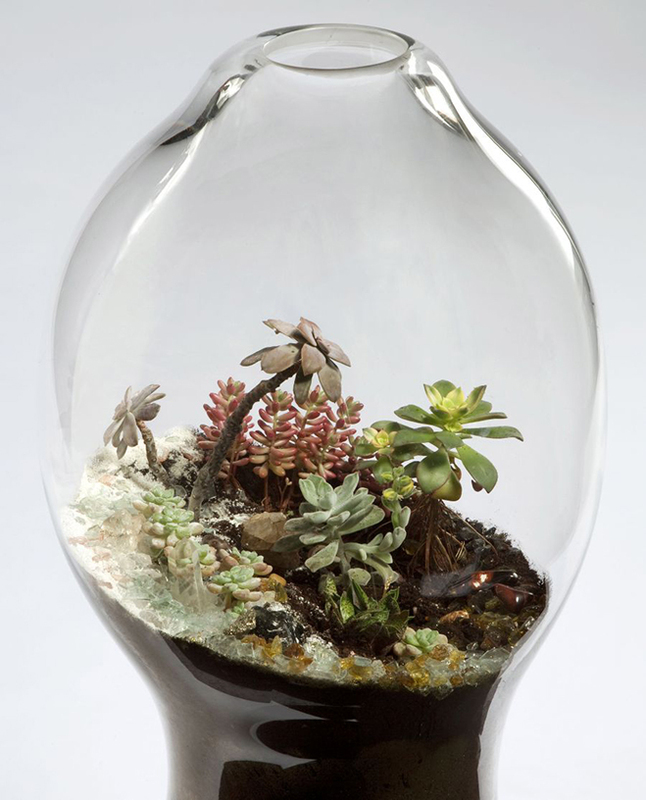 Giant Terrarium GT02, 2009. Photograph by Sherry Griffin. 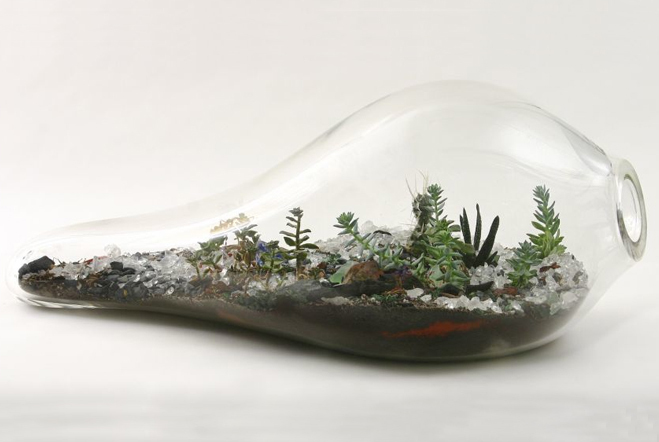 Teardrop Terrarium T026, 2006. Photograph by Sherry Griffin. 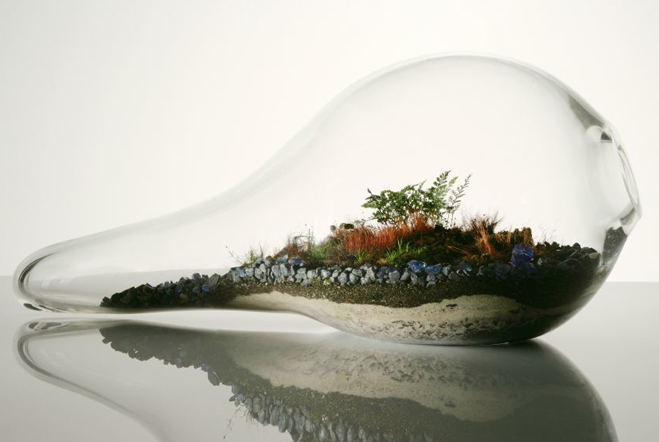 Giant Terrarium GT02, 2009 (detail). Photograph by Sherry Griffin. 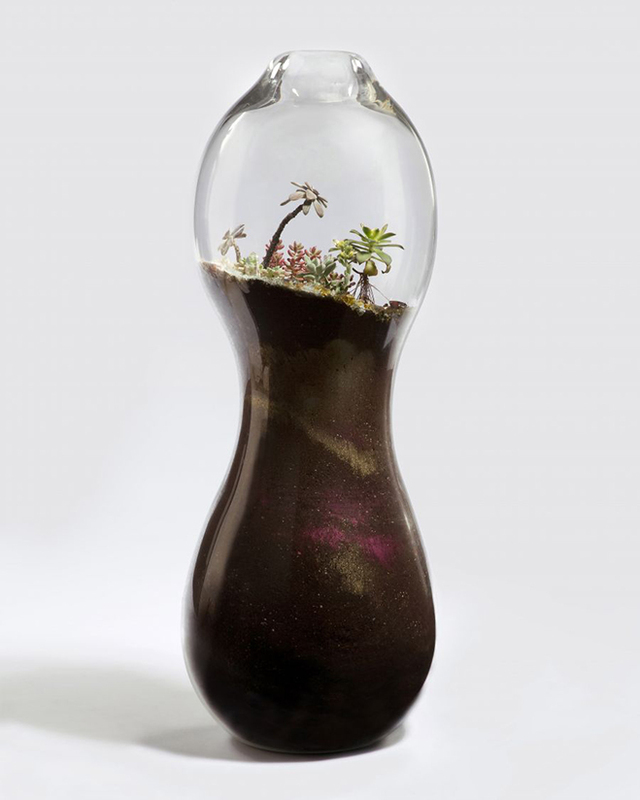 Teardrop Terrarium T013, 2004. Photograph by Sherry Griffin. 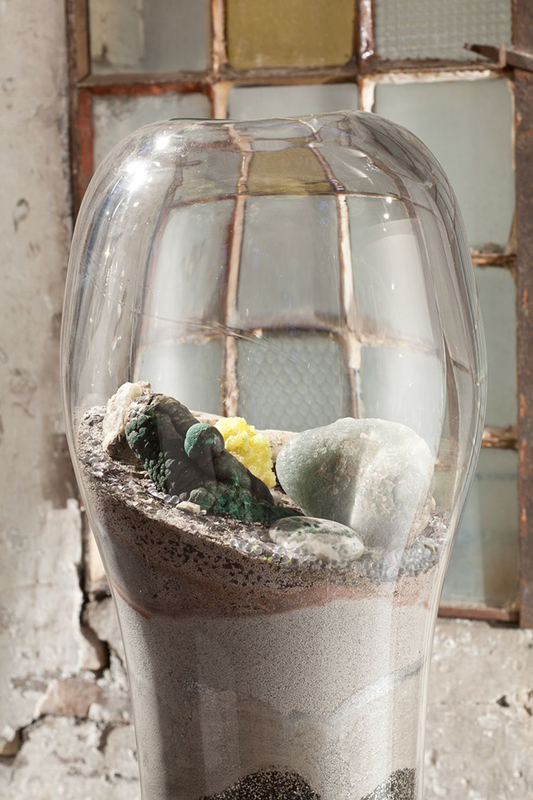 Giant Terrarium GT07, 2011. Photograph by Francesco Allegretto. Giant Terrarium GT06 & Giant Terrarium GT16, 2009. Photograph by Sherry Griffin. Princess Container TC01, 2004. Photograph by Eva Heyd.